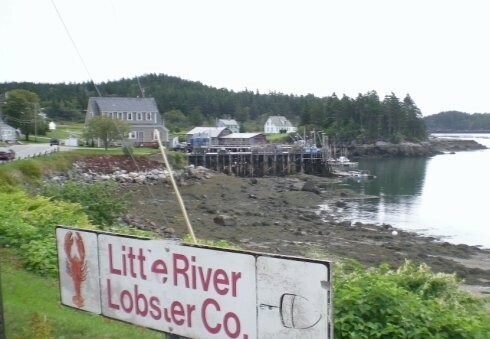 Signs of fresh lobster in Cutler Maine. What is the current price of lobster in Maine? Lobster prices fluctuate with supply and demand and when lobster catches are high, the price of lobster usually drops a bit. We are reaching the peak of July which is the beginning of the lobster season, when Maine lobsters shed their shells and the catches start to increase. This summer however, the lobsters are moving very slowly and catches are down. The boat price of Maine lobster is currently $5.50 per pound for hard shell and $2.75 per pound for new shell in Cutler, with the hard shell lobster price up a bit from the price of lobster in June. The cost of lobster in Maine supermarkets is currently about $8.99 per pound for smaller lobsters. The price of lobster may drop a bit as the lobsters start moving, which should be in the next few weeks. If you’re looking to buy lobster in Maine this summer, here are some tips for buying lobster off the dock, advice on how to steam lobster and my thoughts on the best side dishes to serve with lobster.